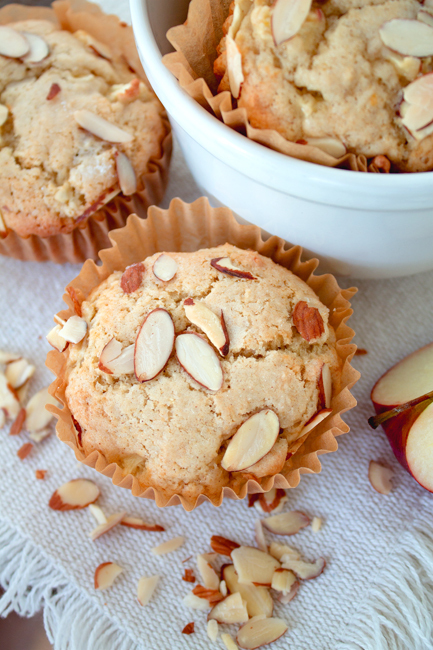 This little Apple Almond Muffin doesn’t have a lot of adornment on the outside. No crumb topping to catch your eye and entice you, but don’t judge a book by it’s cover. What you may think it lacks in appearance is absolutely made up for in it’s taste. 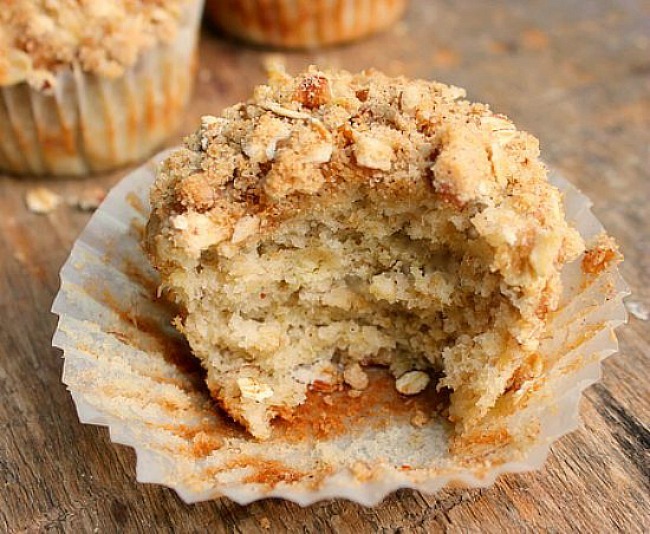 Oh yes, this muffin…this moist, delicious muffin has a bright, light, lemon, apple and cinnamon flavor you’ll taste in your first bite. 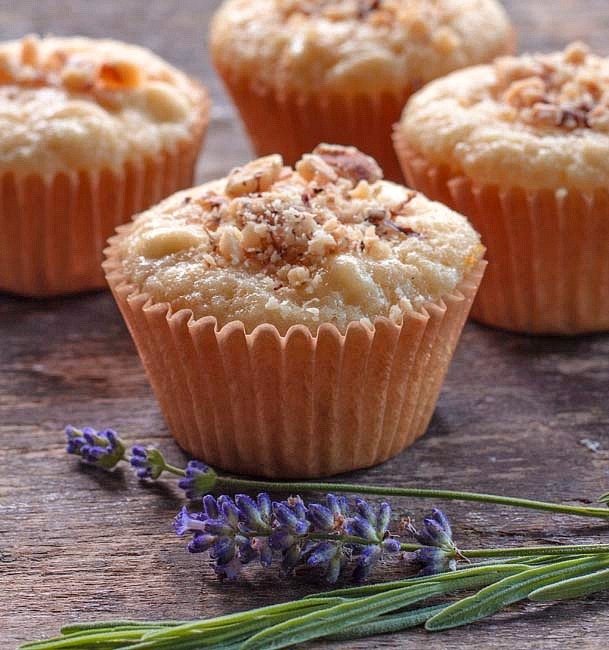 The top of the muffin is sprinkled with sugar and almonds before baking it. 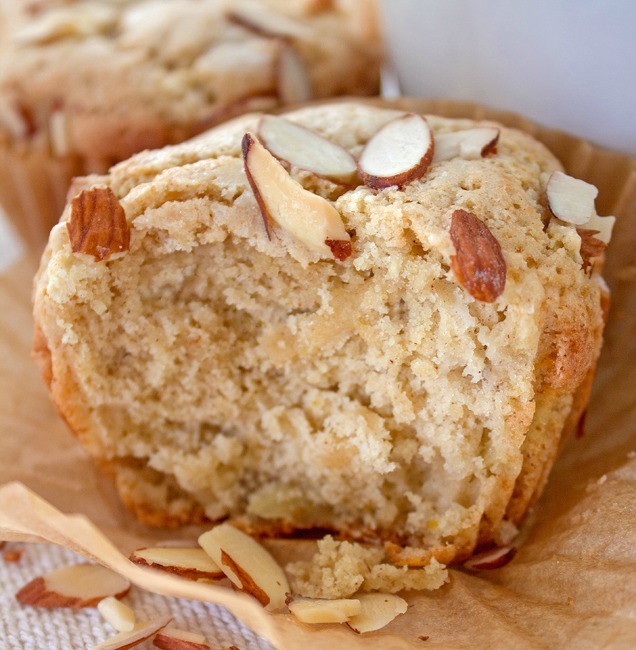 The sugar melts and coats the top of the muffin to add a nice “sweet” along with the almonds. The simple topping allows you to enjoy the flavors on the inside, which in my opinion is the star of the show. 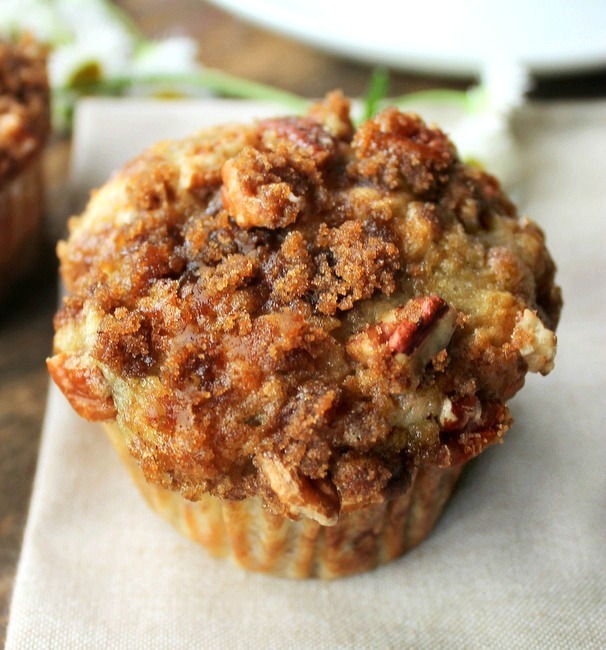 The lemon zest gives the muffin a bright delicious flavor that compliments the apples and cinnamon. Your going to love this one Kids…ENJOY! Preheat oven to 375 degrees. 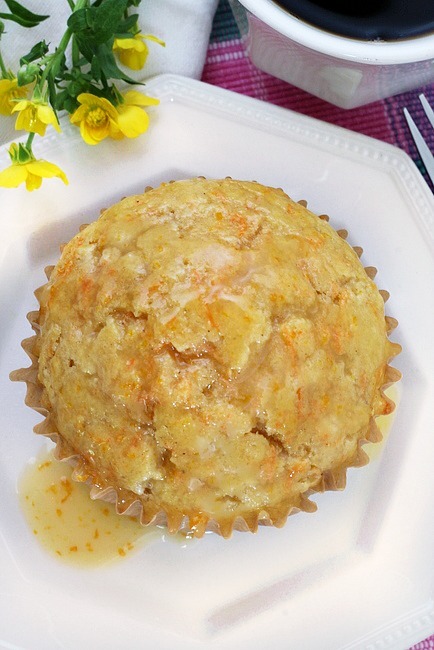 Grease a 12 cup muffin tin or line with paper liners. In a medium bowl, combine the flour,baking powder,salt and cinnamon. Stir to combine. Place the butter and sugar in a large bowl. Beat the ingredients on medium speed until creamy, scraping the bowl as needed. Add the eggs and lemon zest to the bowl. Beat until well incorporated. Stir in the flour mixture until just moistened. Stir in the apples. 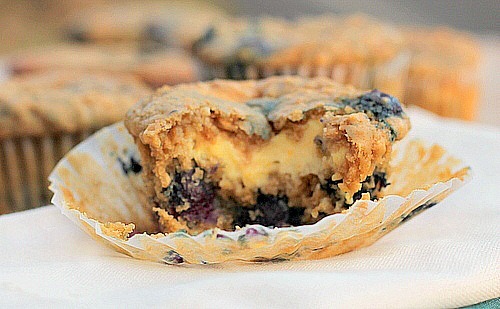 Spoon the batter into your prepared muffin cups,filling each cup 3/4 full. 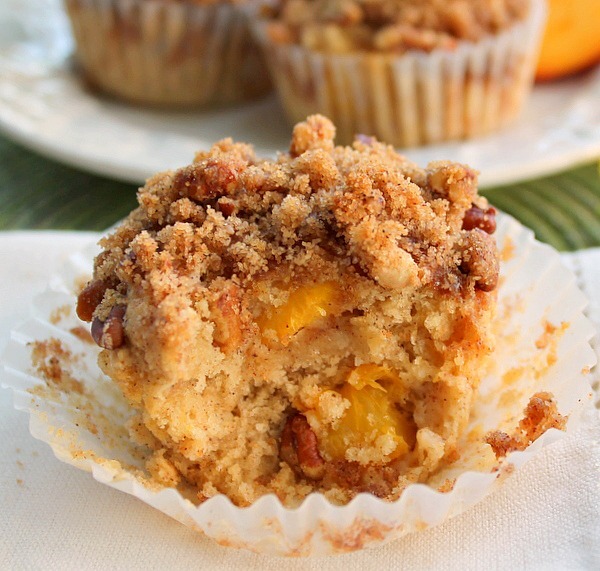 Sprinkle almonds over each muffin cup, followed by a sprinkling of sugar over each muffin cup. Bake at 375 degrees for 18 - 22 minutes or until lightly browned. Let the muffins sit in the pan for 5 minutes before removing. Previous Post: « Absolutely The Best Sugar Cookie Recipe EVER! These look delicious. Lots ft. other muffins look tasty also. YUM!! They are really pretty, tasty and very moist. I am hoping they freeze well as my husband takes them to work. Great Dawn! If you freeze them let me know how they turned out!